Thomas Alva Edison, (born February 11, 1847, Milan, Ohio, U.S.—died October 18, 1931, West Orange, New Jersey), American inventor who, singly or jointly, held a world record 1,093 patents. In addition, he created the world’s first industrial research laboratory. 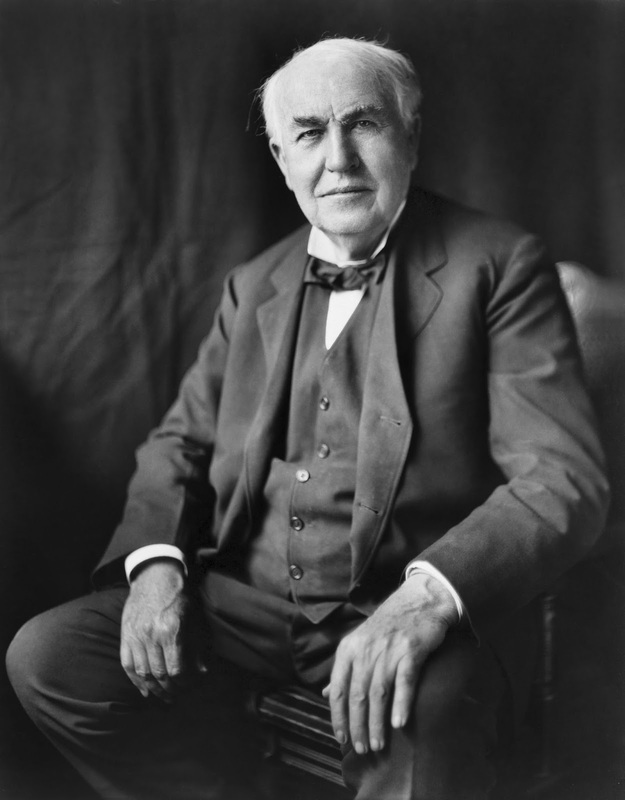 Edison was the quintessential American inventor in the era of Yankee ingenuity. He began his career in 1863, in the adolescence of the telegraph industry, when virtually the only source of electricity was primitive batteries putting out a low-voltage current. Before he died, in 1931, he had played a critical role in introducing the modern age of electricity. From his laboratories and workshops emanated the phonograph, the carbon-button transmitter for the telephone speaker and microphone, the incandescent lamp, a revolutionary generator of unprecedented efficiency, the first commercial electric light and power system, an experimental electric railroad, and key elements of motion-picture apparatus, as well as a host of other inventions. Edison was the seventh and last child—the fourth surviving—of Samuel Edison, Jr., and Nancy Elliot Edison. At an early age he developed hearing problems, which have been variously attributed but were most likely due to a familial tendency to mastoiditis. Whatever the cause, Edison’s deafness strongly influenced his behaviour and career, providing the motivation for many of his inventions. I have not failed. I've just found 10,000 ways that won't work. Genius is 1 percent inspiration and 99 percent perspiration. Five percent of the people think; ten percent of the people think they think;and the other eighty-five percent would rather die than think. Negative results are just what I want. They’re just as valuable to me as positive results. I am proud of the fact that I never invented weapons to killI find out what the world needs. Then I go ahead and try to invent it.